Shilpi Chaklanobis hails from the beautiful city of Kanpur and has spent the majority of her adult life in Delhi. She currently heads the Digital Marketing division at an MNC. The amalgamation of her years spent amongst the quiet, calm streets of a small city and the hustle and bustle of a metropolitan like Delhi has lent her a unique perspective towards life. She aims to translate her experiences and understanding of human relationships into stories that not only move people but also resonate with them. She believes that the beauty of a story lies within its ability to be interpreted by the reader in the way they desire as is evident from her writing. Apart from writing, she spends her time devouring books by the dozen. This is her first endeavor as a writer and her writing not only shows promise, but also has a sense of sensitivity that compels you to think about the lives you touch every day. Shilpi: I am a Bengali and have spent most of my adult life in Delhi. I was born and brought up in IIT Kanpur and spent all my childhood days there. By profession I am a Digital Marketer and am passionate about reading, writing and travelling. Ayush: How beautiful your book is. It shows your wisdom. It shows the bond that beautifies this short life. Tell us something about your book. For we would love to hear you speak on your own book. Shilpi: My book is about love and its various facets and how love can change one’s life forever. But sometimes love is not all to hold two individuals together. It needs constant caring and sharing. 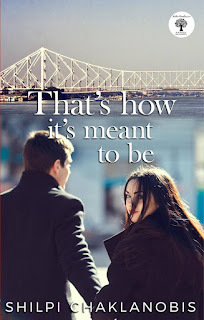 You can say, the book is not a love story but a story about love. Ayush: This life is too short and full of uncertainties. How do you take it? What are your conceptions? Shilpi: I always believe in enjoying the small moments of life instead of waiting for any big occasion to be happy. I take every day as it comes and try to live it to the fullest. Ayush: How was your experience with your very first publisher? Shilpi: It was quiet a pleasant and smooth ride. Ayush: Which life do you enjoy most? The life of a Digital Marketer or the life of a writer? Shilpi: Digital Marketing is my profession and writing is my passion. Of course I love and enjoy writing but at the same time I love my job also as I believe in enjoying everything that I do. 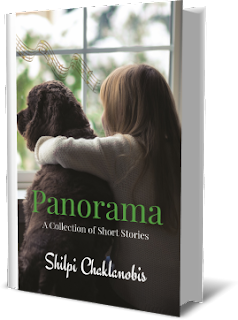 Shilpi: I love soft emotional stories. Though I like reading love stories also (without erotica). I wish I had penned “Rebecca” which is a masterpiece by Daphne Du Maurier. Ayush: Tell us something about your other hobbies we have heard of that may motivate others. Shilpi: Hmm, apart from reading, I love travelling and visiting new places. I want to travel the world. Shilpi: I myself am a new author and am not sure if I have enough experience to impart wisdom to aspiring authors. However, one thing that I have learnt through the entire process of writing my two books is that like any other work, practice and consistency are the mantras to write a book. You need to read a lot to hone your writing skills and at the same time need a whole lot of patience to complete the work without getting distracted or losing hope. Ayush: What are you working on at present? Shilpi: Presently I am working on two books; one is a short story collection and the other is a novel. Amit: And the last one, something personal about you, people may be surprised to know? Shilpi: I am a complete foodie and love Indian food. Thank you for interview ma’am. We wish you best wishes for book. You can grab her book from OnlyBookShop India’s Lowest Price Book Store.